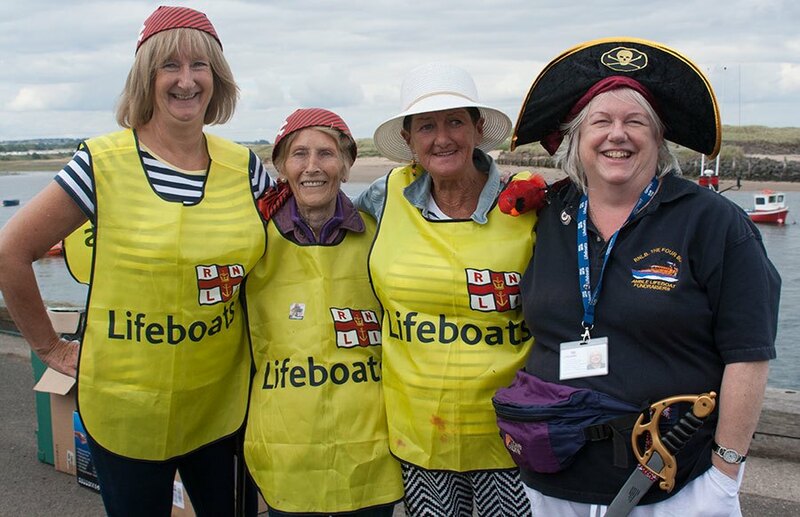 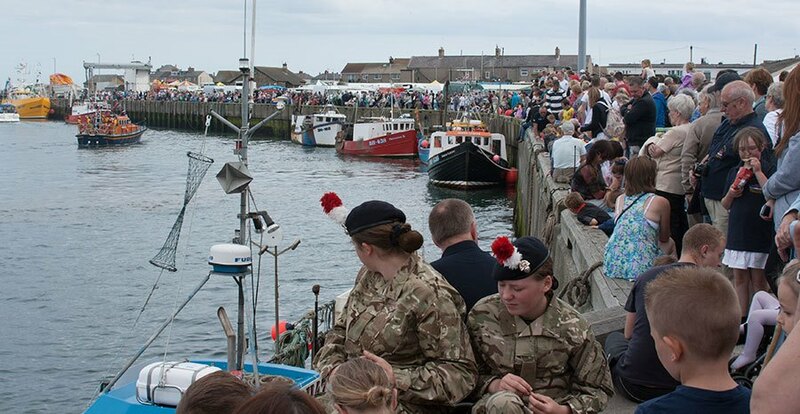 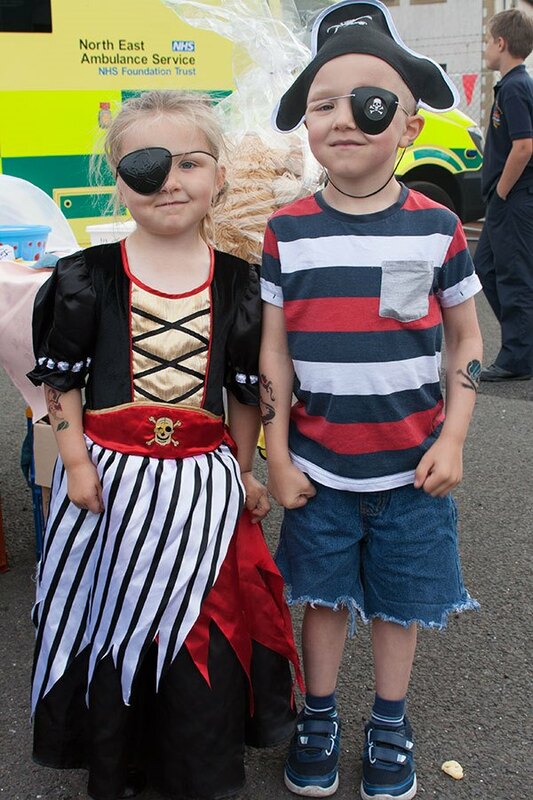 Thousands of people thronged the quayside and Harbour Village for Amble’s annual Lifeboat Day. 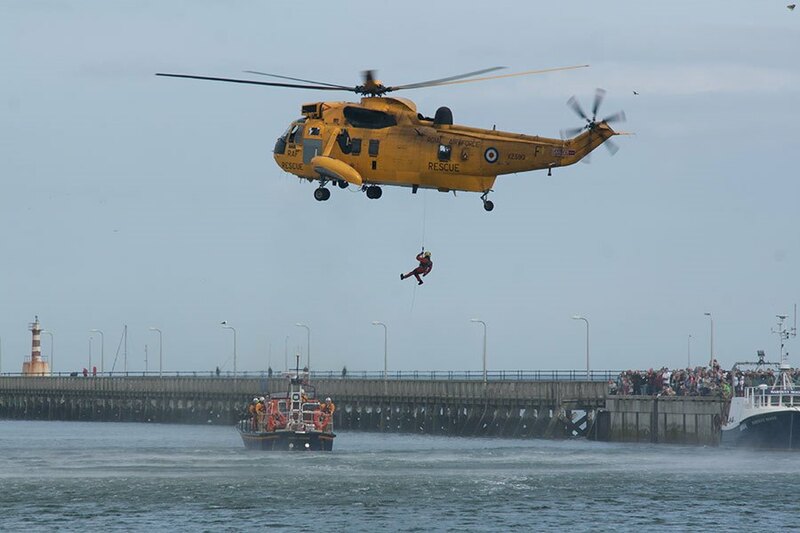 The crowds were treated to a rescue display by the Amble Lifeboat crew and a Sea King from RAF Boulmer. 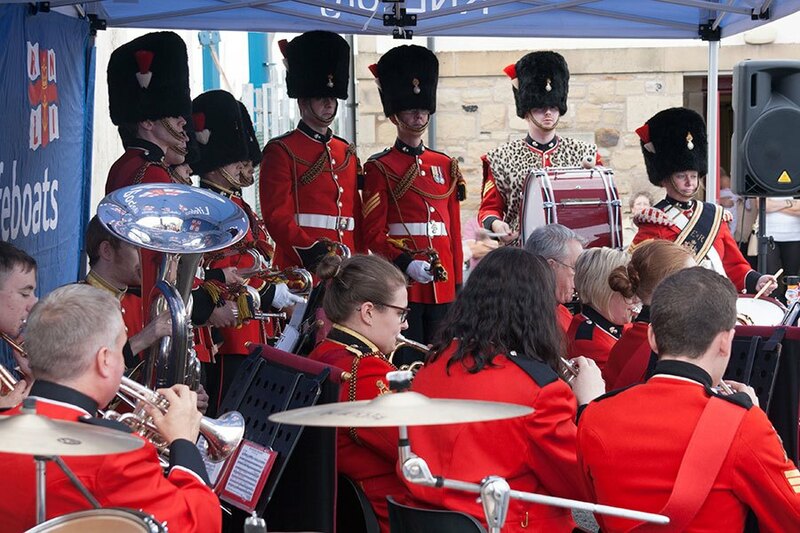 Music from Northumbria Army Cadets’ Cassino Band entertained everyone, there were stalls, raffles, and an abundance of tasty food and drink on offer. 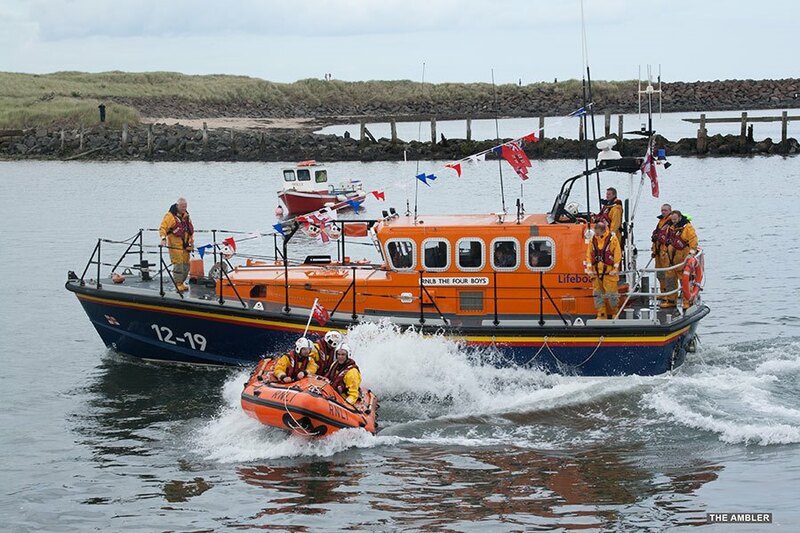 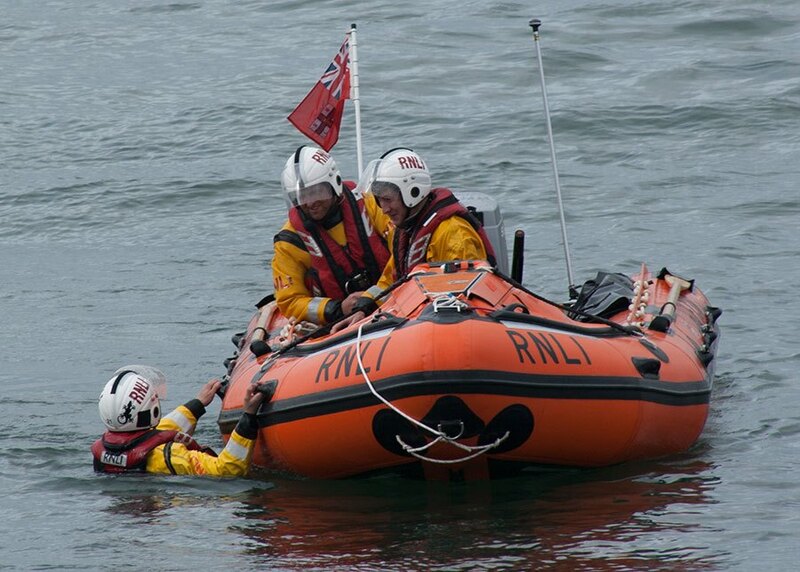 This year, fundraising was directed to Amble RNLI’s Shannon appeal. 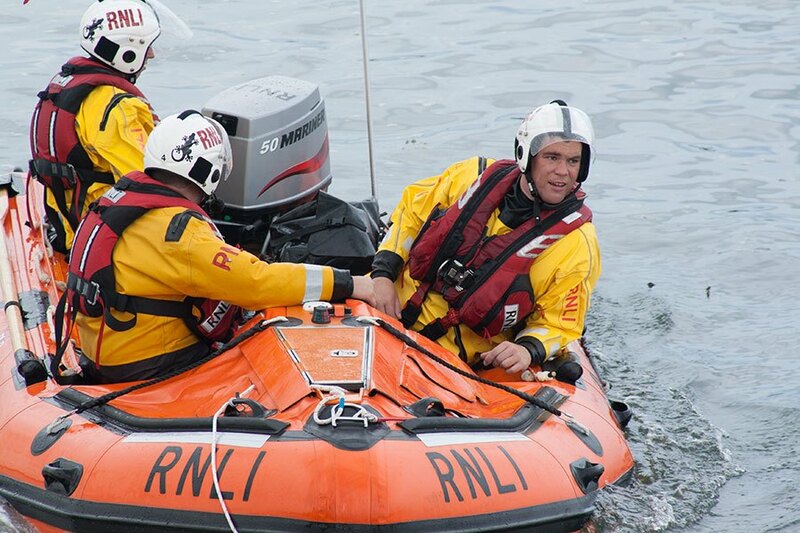 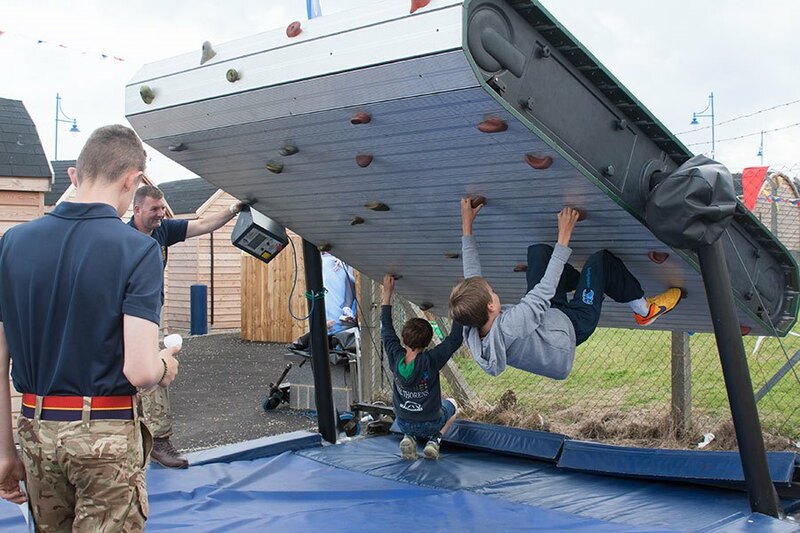 Organisers announced that half of the £200,000 needed has now been raised. 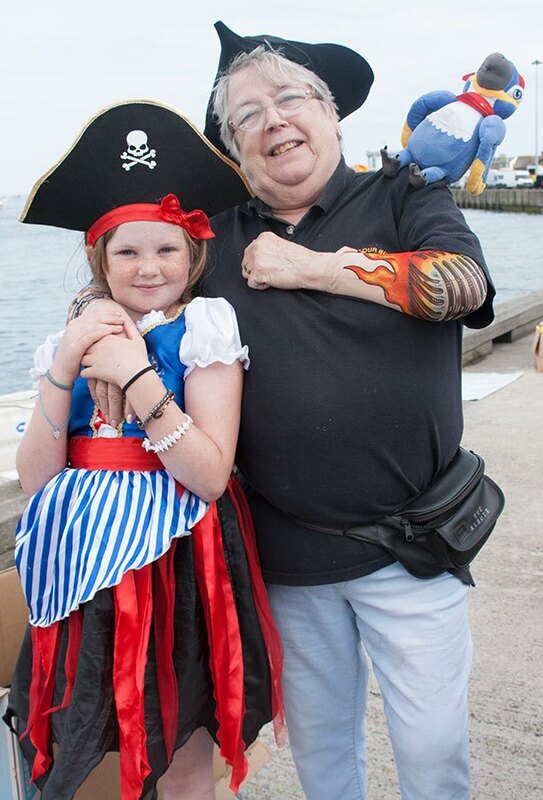 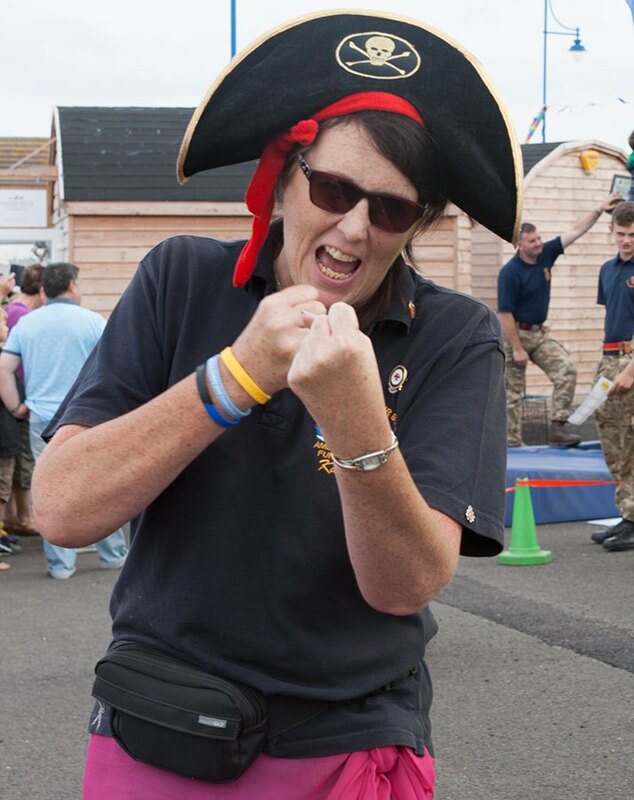 2 thoughts on "Thousands throng Amble harbour for Lifeboat Day 2015"
Totally agree, Sally. 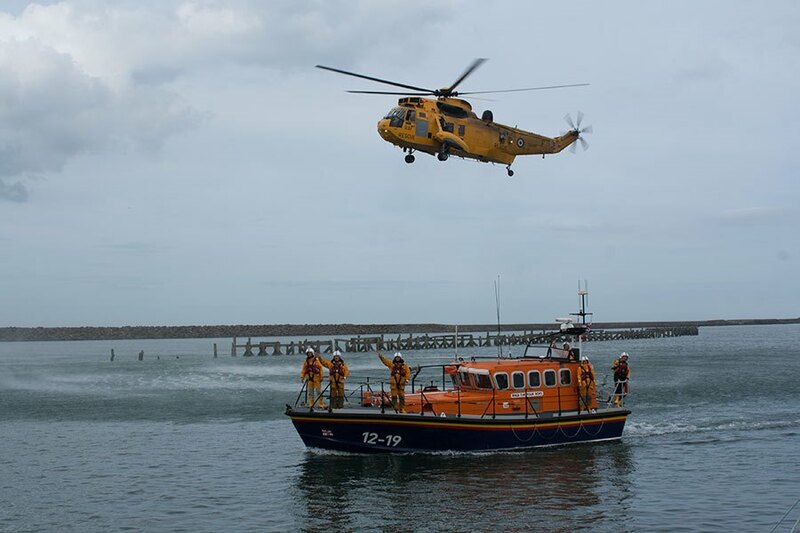 There were a large number of very tearful people watching the helicopter and ‘Four Boys’ going up the harbour. 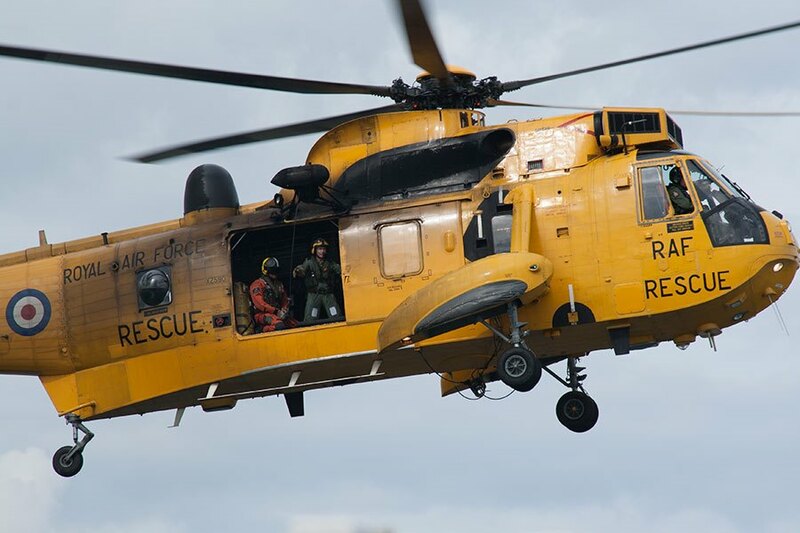 Next year we will not have the faithful Sea King and may not have ‘Four Boys’ . 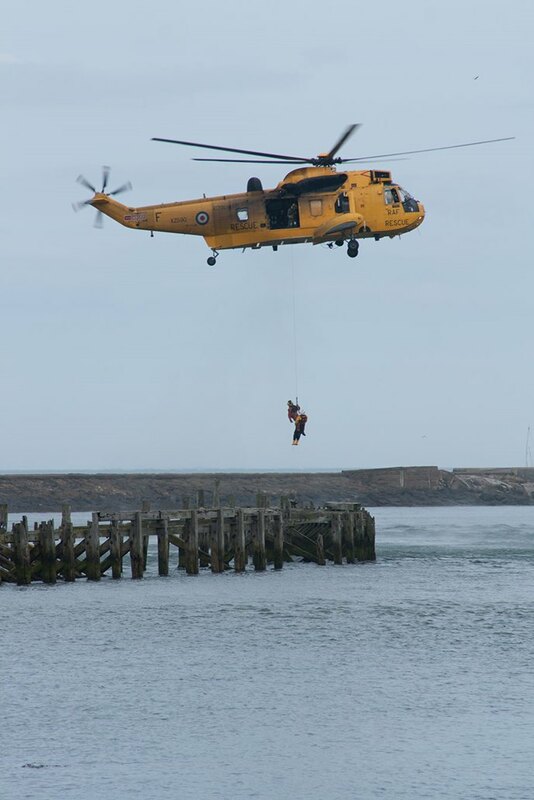 Suppose it is progress but ‘Harold’ helicopter will be greatly missed, not only by spectators at Amble Harbour Day, but people like my husband and I who see him go over our bungalow almost daily, and has done for the past sixteen years we have lived here. 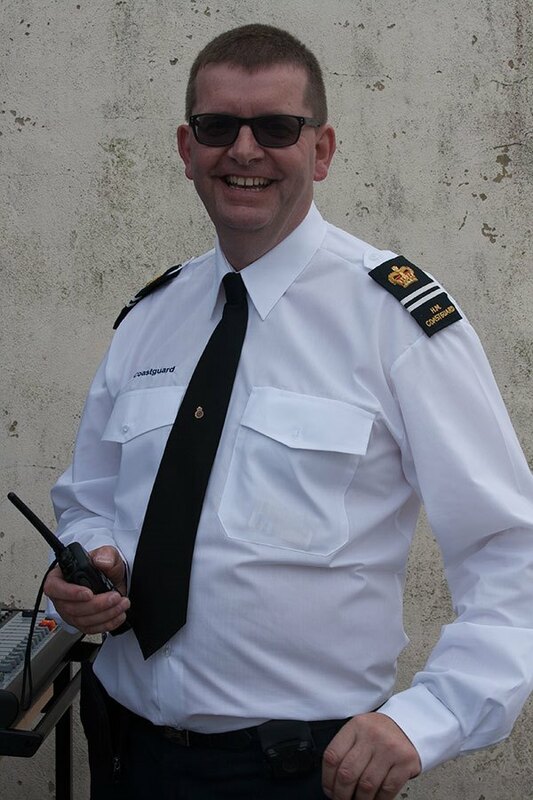 May I wish the personnel on 202 Squadron the best of luck, wherever they may be posted – we will miss you all.